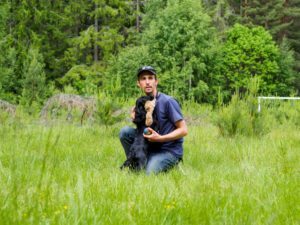 Thomas Stokke has been clicker training for dog sports for 20 years and has trained gundogs (spaniels, setters and HPR’s) for hunting and trials for more than 10 years. Class will consist of eight lessons, with two weeks in between lessons, for a total of 16 weeks. Class starts Feb 5th 2018.